It’s called the Firefly, it’s a 1961 model, and it’s weirdly beautiful. 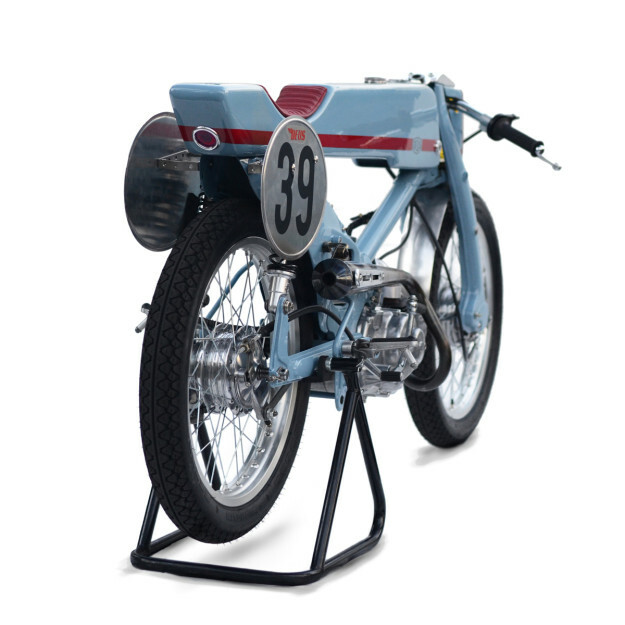 It’s a raw and functional beauty, though—taking inspiration from the small-cap GP and TT bikes of the 1950s and 1960s. 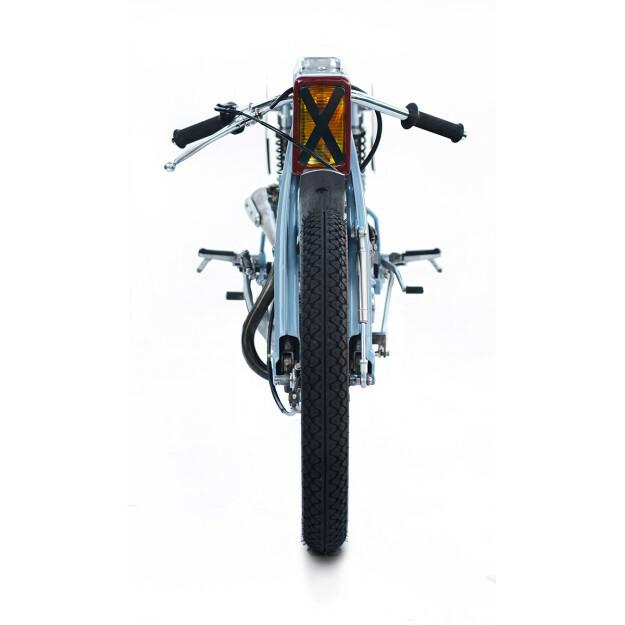 The Super Cub’s step-through construction is gone, replaced by long, elegant lines running uninterrupted from headlight to tail. There’s the merest indentation for the rider’s perch—a spartan tuck-roll offering in Oxblood red, stitched by local upholstery master Miauchi-san. The epoxy composite monocoque body saves precious kilograms. Measuring just 105mm (4½ inches) at its widest point, it hides the fuel cell, battery, coil and electrics. All are laid out with surgical precision along a slender backbone. Polished and trued original C105 hubs are laced to DID alloy rims with custom spokes. The rubber is only 2.75 x 17, but it still needed shoehorning to fit inside the narrow forks and rear fender. Deus’ traditional attention to detail is everywhere. 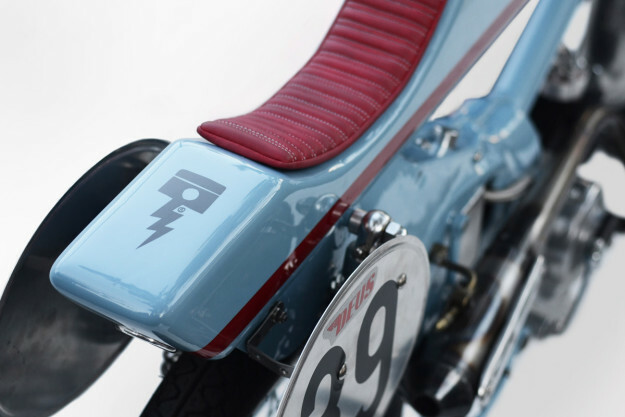 Handmade accoutrements pepper the Firefly’s form—such as the alloy top bridge, stoplight and rearsets. The suspension gets an upgrade with an external front fork rebound unit and fully adjustable alloy race shocks. Every nut, bolt, bearing and bush has been re-engineered or redesigned, using decades-old factory blueprints as a reference. There’s enough milling and lathing in this little machine to leave the HRC factory team green with envy. Why all the effort? 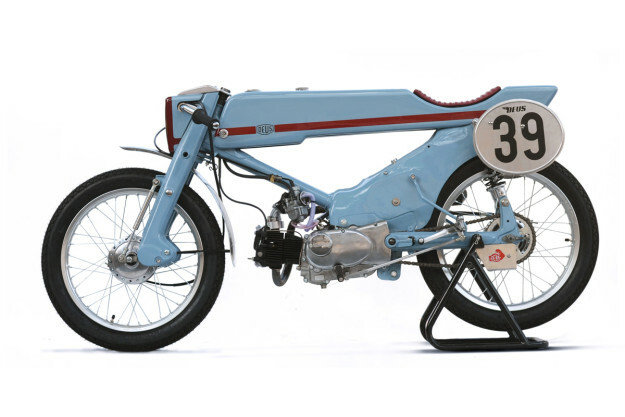 Well, there’s a thriving race scene for Honda Super Cubs in Japan, and the Firefly is designed for battle in the pre-1964 series. 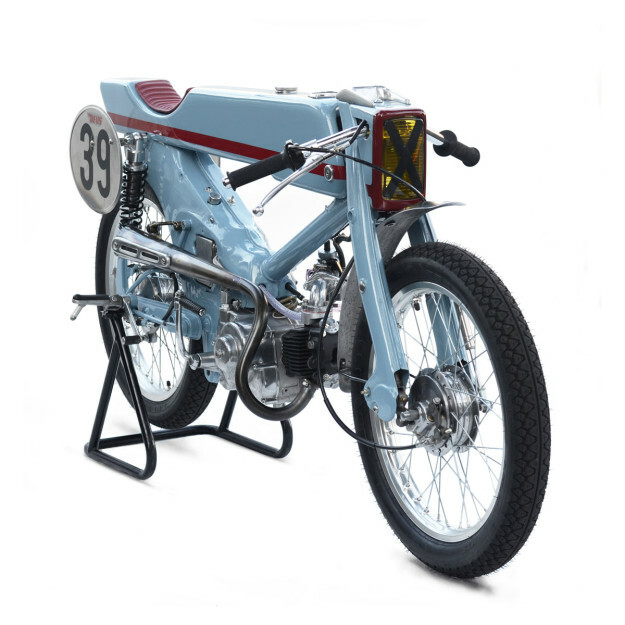 So all the lighting is attached with quick release mechanisms, so the Cub can race at the Fuji Speedway on Sunday and hit the Tokyo streets on Monday. 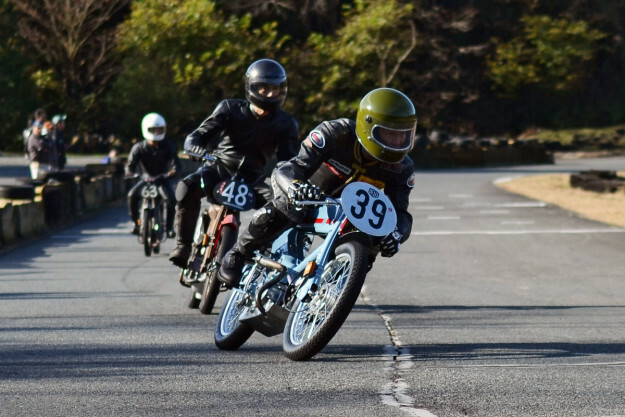 Despite the incredible Super Cub production figures, performance components are surprisingly scarce for the first series OHV single. So Deus called in the local engine gurus at Ted’s Special, a company more used to working on the exotica in Honda’s own race collection hall. They over-sized and tuned the petite donk, staying just within the permitted 20% capacity increase. 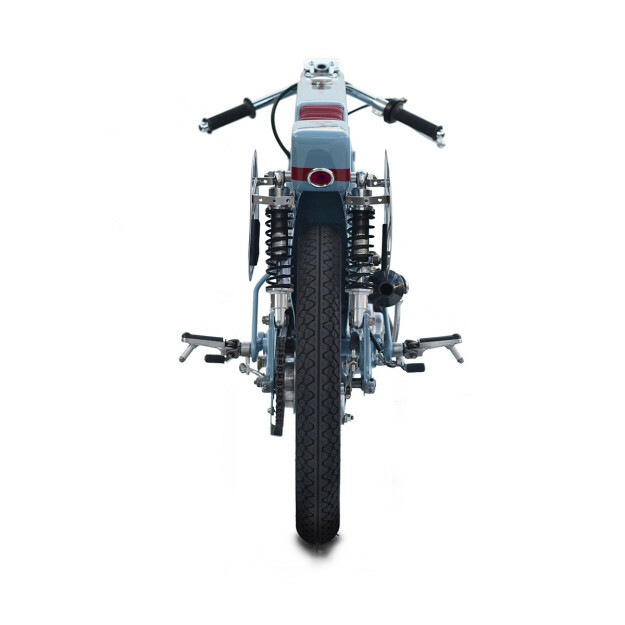 It’s an extreme machine, a statement of intent that showcases the vision and abilities of Deus’ Japanese workshop. But nothing less was acceptable. “Since Japan is the birth place of the Super Cub, you have to deliver a design that punches well above its weight,” says Roberts. 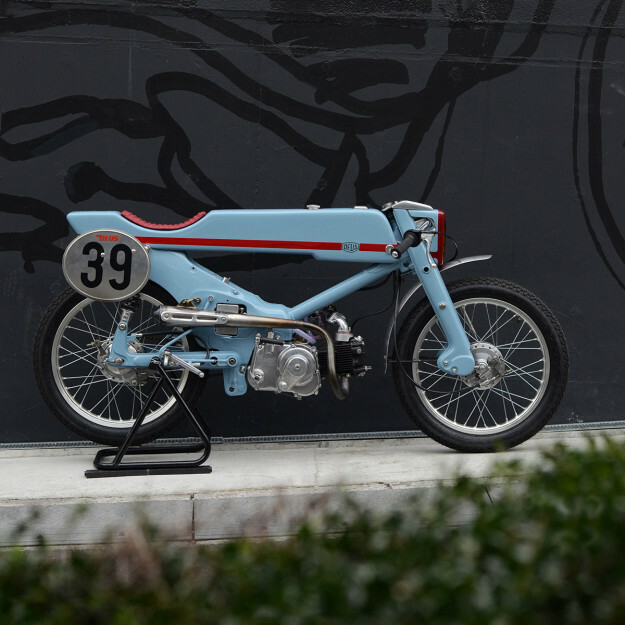 Would Soichiro Honda, engineer of the original Super Cub, approve? If he was alive today, we’re sure he’d be nodding in appreciation. And probably smiling too. 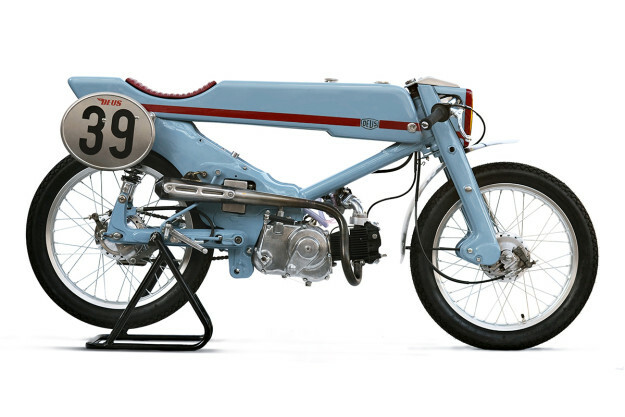 1961 C105 Honda Super Cub. 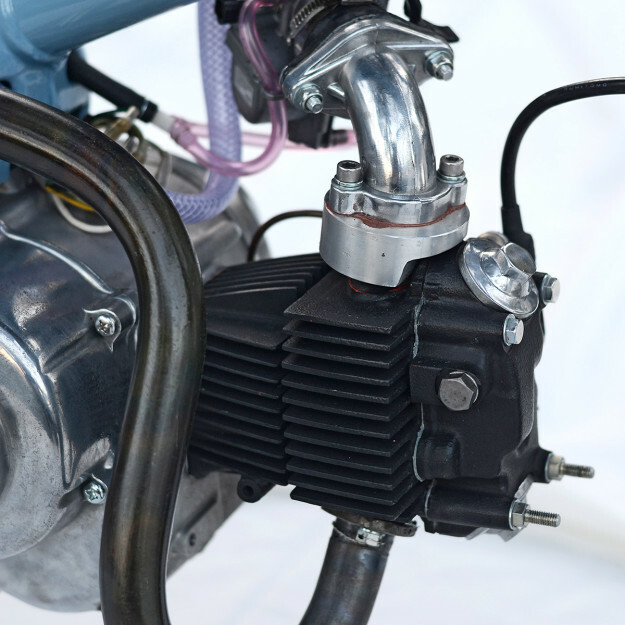 49cc push rod/overhead valve, 3-speed, 4-stroke engine, clutchless. 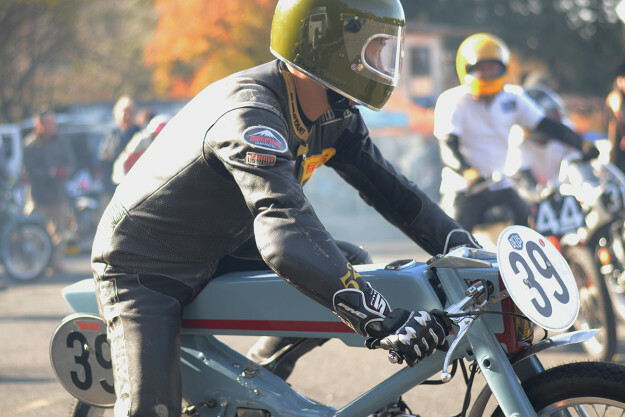 Blueprinted and bored to the 60cc allowed by Battle of Bottom Link N50 class race regulations. Open carb on track, mesh filter for city forays. Frame re-engineered from headstock to rear shock spine. De-tabbed, welded smooth and fuel tank removed. 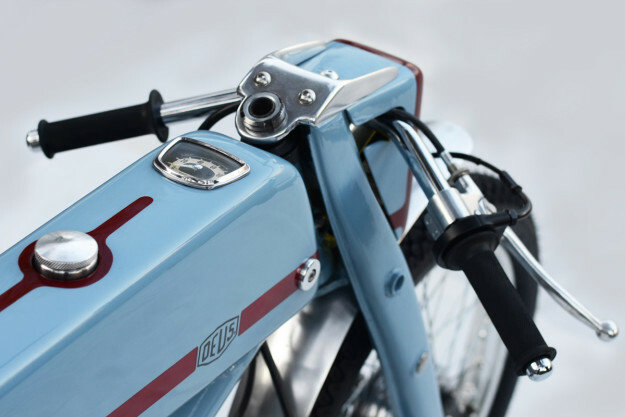 One-off rearset foot pegs, linkages and controls; cable operated rear brake conversion. Fully adjustable alloy body gas racing rear suspension. Bespoke rebound unit at front suspension. Original Speedo (the only untouched part remaining from the original motorcycle) mounted on top of body. Monocoque bodywork, composite epoxy construction, alloy load-bearing inserts at mount points. Hand-built wheel set: polished and trued 1961 hubs, custom spokes, made in Japan DID alloy rims.